May | 2013 | this is my inspiration. But these aren’t just any daily commuters. 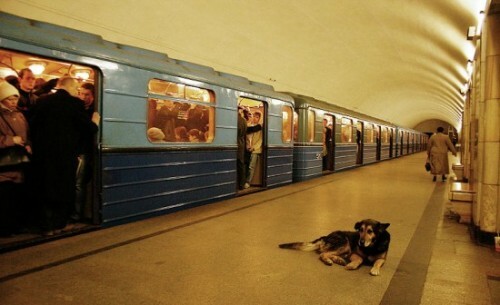 These are stray dogs who live in the outskirts of Moscow Russia and commute on the underground trains to and from the city centre in search of food scraps. With children the dogs “play cute” by putting their heads on youngsters’ knees and staring pleadingly into their eyes to win sympathy – and scraps.